Mystic, Connecticut - i2e Consulting introduces SOS My Location 1.0, an app for iPhone and iPad that enables users to instantly share their current location. The app can be very useful in a variety of situations. With just one touch, this app will be able to send your current location as an email and SMS to multiple contacts. The Current Location will contain your current address, GPS coordinates, personal info, emergency message and a link to Google maps showing the senders exact location. All of this information can be very easily configured from the app's settings page, which allows users to control the amount of information to be sent. Further, the app can place a call to one of the contacts selected in the app settings and a 7 seconds video clip can also be sent as an email attachment along with the current location information. 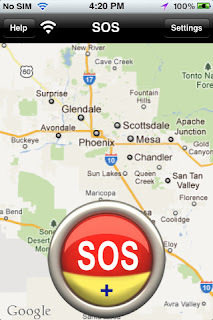 SOS My Location also serves as a current location finder for the app user. Users can just tap on the current location on the map to get their current address, GPS co ordinates, postal code etc. The app also uses iPhone's Shake feature to initiate the location sending sequence. While your current location is the first most important piece of information in an emergency, the second most important factor is time.How soon can someone come assist you? The sooner the person trying to assist you can get all the information about you, faster he or she will be able to assist or arrange for assistance. If multiple contacts can get this information in the shortest time then you multiply your chances of being assisted on time. It's a simple app that will simply send your location and 7 seconds video clip instantly to anyone. 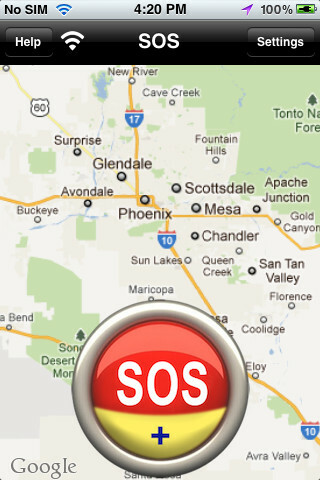 SOS My Location 1.0 is free and available worldwide exclusively through the App Store in the Utilities category. Based in Mystic, Connecticut, i2e Consulting is a software services company providing innovative Enterprise solutions for our clients in US, Europe, Middle East and India. We specialize in building iPhone and iPad business Apps. We are a Microsoft Certified Partner specializing in Portfolio Project Management and have delivered large enterprise solutions to our clients across the globe. Copyright (C) 2011 i2e Consulting. All Rights Reserved. Apple, the Apple logo, iPhone, iPod and iPad are registered trademarks of Apple Inc. in the U.S. and/or other countries.